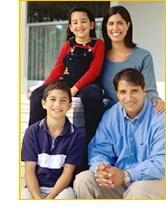 Welcome to the Housing Education Program website. The Housing Education Program, a division of Consumer Credit Counseling Service of San Francisco, is a HUD approved housing counseling agency. We have been providing housing counseling and education since 1994 and are recognized by Fannie Mae, Freddie Mac, HUD, and local and national lenders for our excellence in meeting the diverse housing needs of the communities we serve. The Housing Education Program continues to be the national leader in providing housing education to meet the specific and unique challenges of homeownership. Through strategic partnerships and community outreach (including our free workshops and educational materials), we strive to help individuals and families locally and nationally achieve their dream of homeownership.